Have you ever found yourself in an innocent conversation with your spouse that quickly spiraled downward? Somewhere in the middle, you felt it turning sideways, yet you felt powerless to slow down the negative momentum. Or perhaps your spouse is struggling, in a dark place where your encouragement can’t seem to reach. You wish you had the right words, the right response for every situation. The simplest and most effective way to build your marriage is by learning what God says about the relationship. Really learn. By memorizing verses that speak to the needs and issues in marriage, God will supply you with powerful responses, exactly when they’re needed. 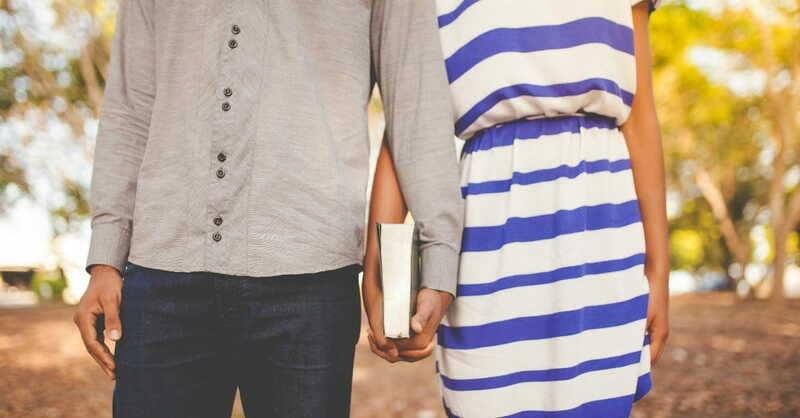 Here are 10 Scriptures that every married couple should memorize. They will not only change the way you communicate, they will change the way you live together by building harmony and purpose into your marriage. Instead of giving in to irritability, insecurity, or indifference, these Scriptures will take root in your soul and transform you into the loving, respectful, considerate spouse you vowed to be when you got married. So take a proactive approach to your marital relationship and commit to memorizing these (and other) Scriptures. God promises that His words “will not return to me empty” (Isaiah 55:11). Write each verse on a 3x5 card and place in a prominent place where you will see it regularly. Recite it out loud to reinforce the words in your head. You might also try writing out your verses several times in a row, or reciting them with your spouse at mealtimes and bedtime. If you take the time to learn God’s word, He will revolutionize your heart, your mind, and your marriage. God intended couples to feel connectivity to one another in marriage—like they complete each other. Marriage is about the creation of a new life together. 2. "Love is patient, love it kind..."
The great love chapter of the Bible applies to all relationships but especially to marriage. Selfishness, unkindness, arrogance, and grudges don’t belong in marriage. Setting the stage for the following famous “wives submit” and “husbands love” verses, Paul reminds couples that submission applies to everyone for everyone. Husbands and wives should not seek to control the other, but willingly defer to each other instead. Paul explains the highest needs that women and men feel: most women feel loved through expression of emotion, and most men feel loved through expressions of respect. Read Eggerich Emerson's book Love and Respect for more insight on this concept. 5. "Bear with each other and forgive one another if any of you has a grievance against someone..."
6. "Do everything without grumbling or arguing..."
Aspiring to free your relationship of criticism and complaint will provide a kind, safe, and honest home environment. Your marriage will also grow stronger when you refuse to complain or badmouth your spouse to your friends. 7. "Finally brothers and sisters, whatever is true, whatever is noble..."
Keeping your thought life pure and honorable will build your trust and guard your mind from addictive thought patterns. Remember, whatever you dwell on in your mind will eventually come out in your attitudes and actions. Sinful fantasies destroy marriages. You will not be able to pray for each other if you carry anger or resentment. Create a culture of transparency and share your faults, your sins, and your struggles with each other. Then pray for each other and pray with each other. 9. "Two are better better than one, because they have a good return for their labor..."
Marriage is a partnership, not a competition. Find ways to work together as a team, especially during trials. You were designed to complete one another and encourage one another toward holiness. 10. "This is how we know what love is: Jesus Christ laid down his life for us..."
It’s easy to forget that Jesus died for your spouse, and that He loves and cherishes him/her just as much as He loves you. God expects you to love your spouse the way He loves you—enough to sacrifice everything for you. And saying you’d die for your spouse isn’t enough. Love means living out your promise through acts of grace and mercy. Sue Schlesman is a Christian writer, teacher, and speaker. Her blogs, Bible studies, fiction, and non-fiction reach a wide audience. You can find her philosophizing about life, education, family, and Jesus at www.susanwalleyschlesman.com and www.7prayersthatwork.com. Or email her at sueschlesman@gmail.com.